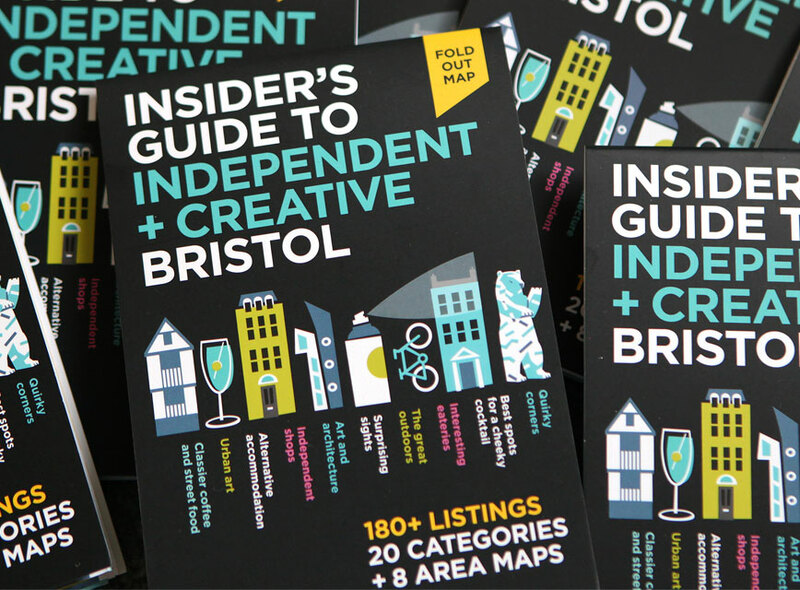 We’re celebrating our new Insiders Guide to Independent and Creative Bristol at Spike Island’s Open Studios preview night, on Friday 29th April. Come and join us for a drink and a one-night only special price for our guide. The guide has been curated by members of the West of England Design Forum, who have collected together some of Bristol’s best independent and creative shops, eateries, sights, art, architecture, accommodation and much more. It is illustrated by Bristol-based graphic design agency Just Design and divided by area to make exploring the city as easy as possible.